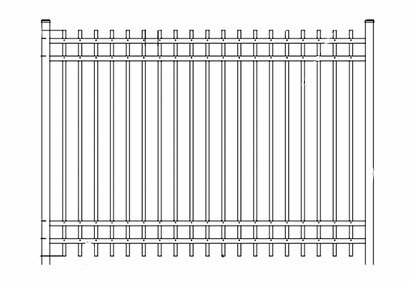 By Discount Fence Supply, Inc. 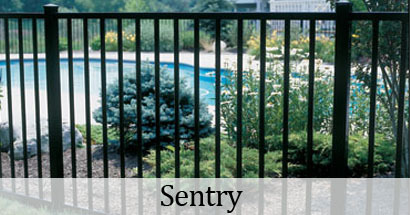 The elegance and simplicity of the Sentry fence provides a smooth topand bottom rail making this fence ideal for pool applications. The Aero Avalon fence, complimented by the radius edges of the area grade, offers a traditional design evoking the look of wrought iron. The pickets are open and even across the top of the section. 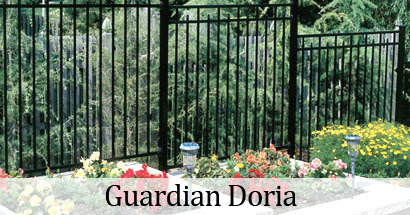 With the added Aero Grade features of a generous radius to the edges of all components for a truly elegant look the Doria style fence is a contemporary design with alternating pressed point pickets and a smooth top rail enclosure. 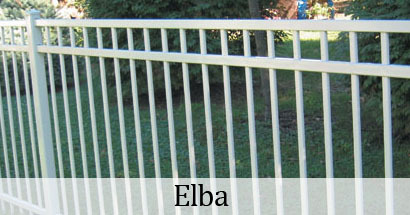 The height of simplicity, the Aero Elba style fence with smooth top rail has rounded pickets, posts and rails for a more elegant look. The Guardian Doria features a generous radius to the edges of all components for a truly elegant look. The pickets do not extend through the smooth rounded bottom rail making this fence perfect for swimming pools. 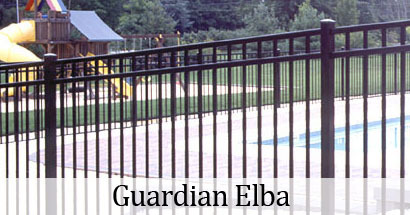 The clean lines due to the curvature of the fence components make the Aero Guardian Elba style fence a stately, functional accent to your yard. 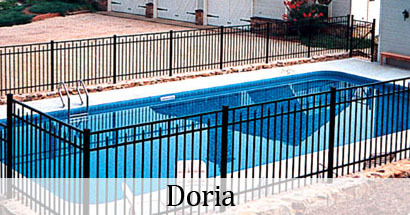 The pickets do not extend through the smooth rounded bottom rail making this fence perfect for swimming pools. 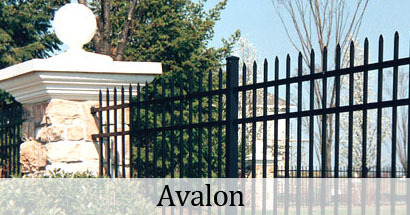 The Coventry aluminum fence features the same style and advantages as the Avalon style of fence. The only difference is the Coventry comes without finials, so you can select a style of finial you want when purchasing your fence. Copyright © 2012 - All Rights Reserved - Discount Fence Supply, Inc.